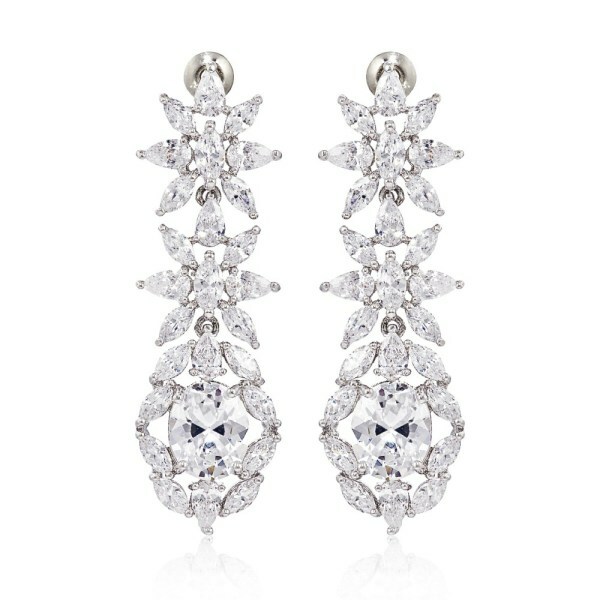 Fallon Monarch drop earrings, at fallonjewelry.com. Pierre Hardy Vibration sandal, at pierrehardy.com. 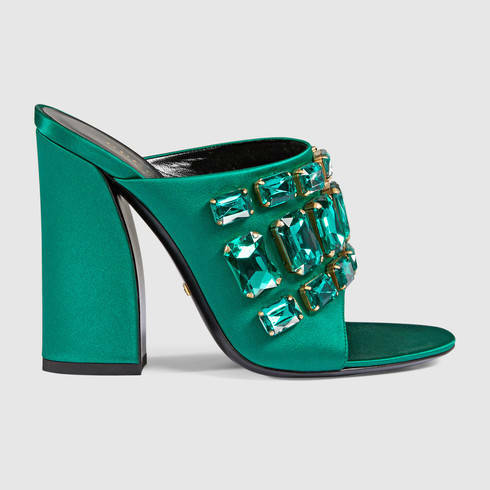 Gucci satin sandal with crystals, at gucci.com. Tom Ford hair calf open back ankle strap pump, at tomford.com. 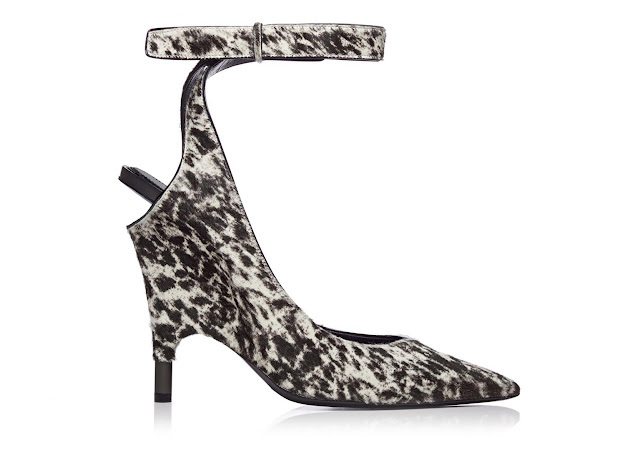 Tabitha Simmons laser-cut Nina booties, at barneys.com. 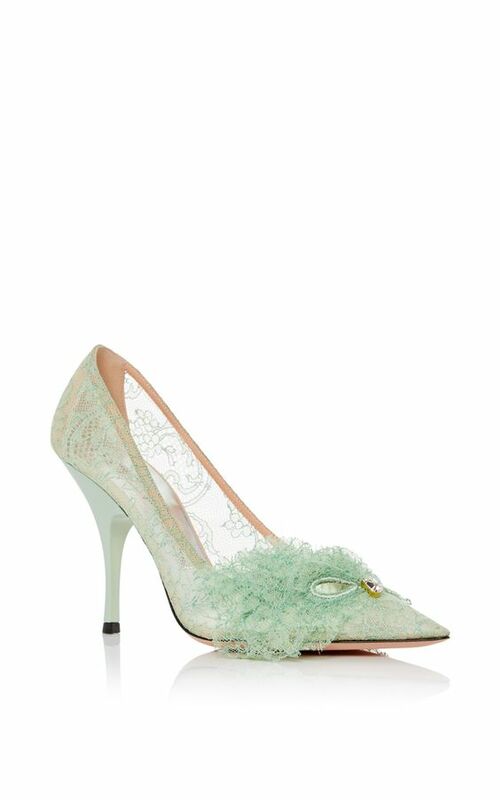 Rochas Mask lace pump, at modaoperandi.com. 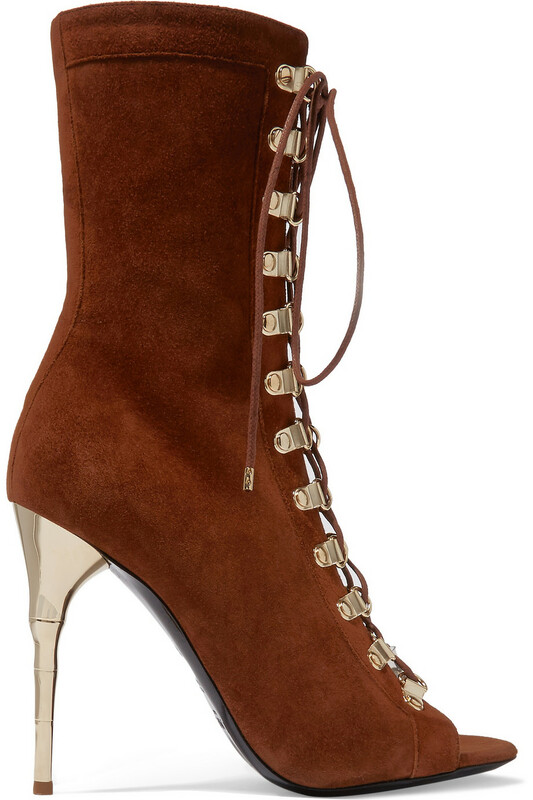 Balmain lace-up suede sandals, at net-a-porter.com. 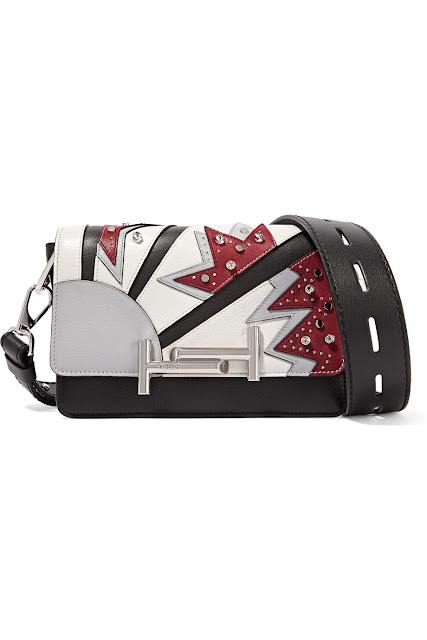 Tod's Venice embellished leather shoulder bag, at net-a-porter.com. 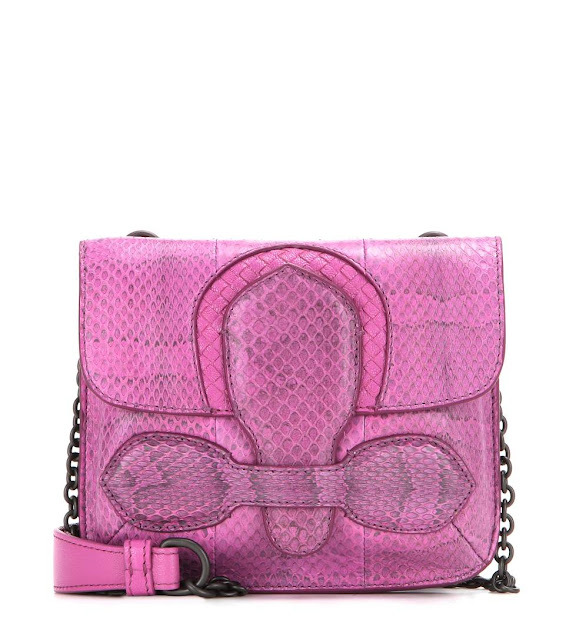 Bottega Veneta snakeskin shoulder bag, at mytheresa.com. 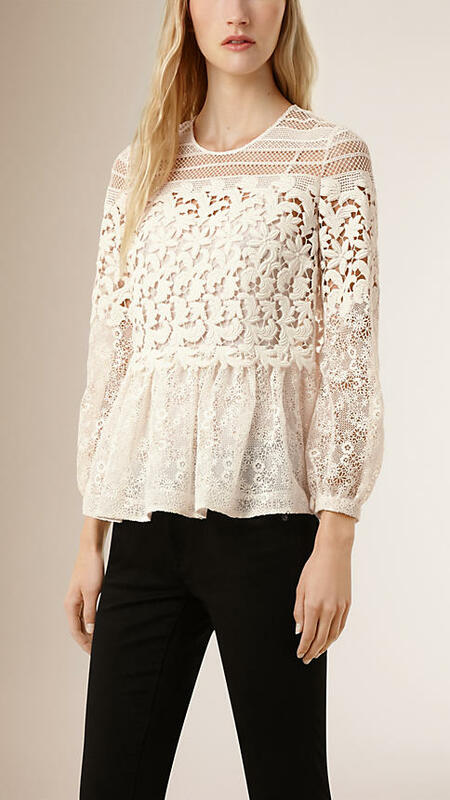 Burberry floral lace and mesh blouse, at burberry.com. 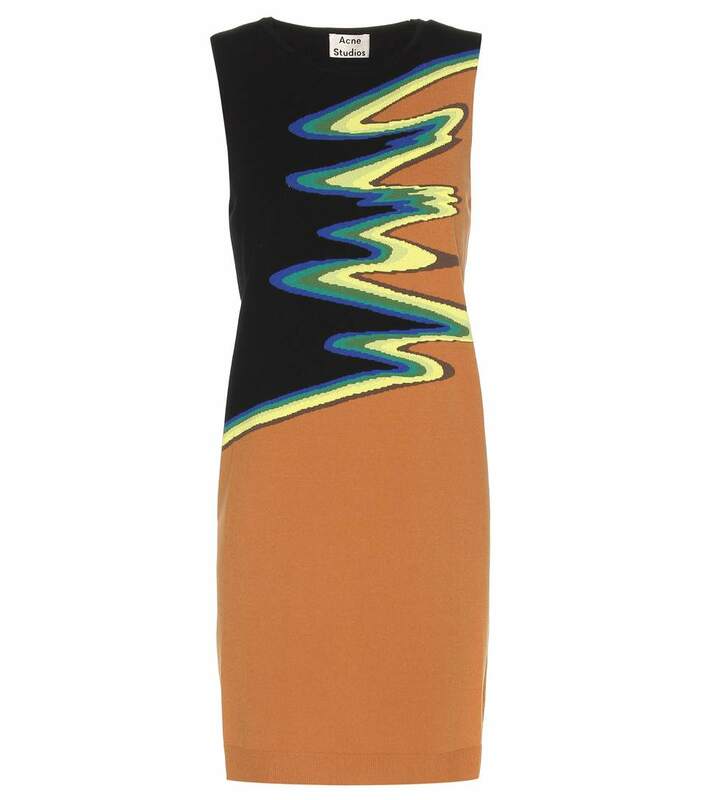 Acne Studios Osha wave knitted dress, at mytheresa.com. 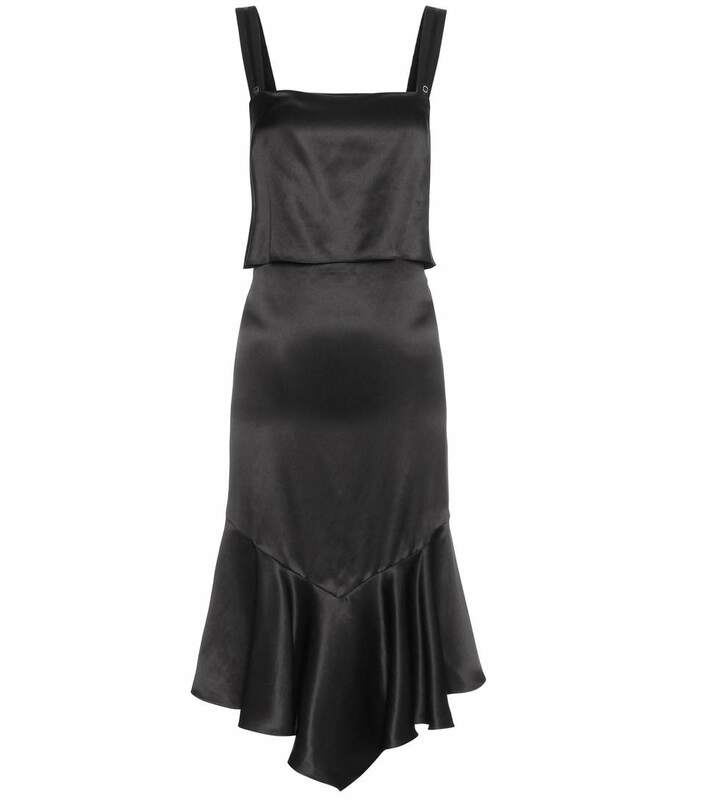 Givenchy ruffled silk slip dress, at mytheresa.com. Gucci embroidered tulle dress, at gucci.com. 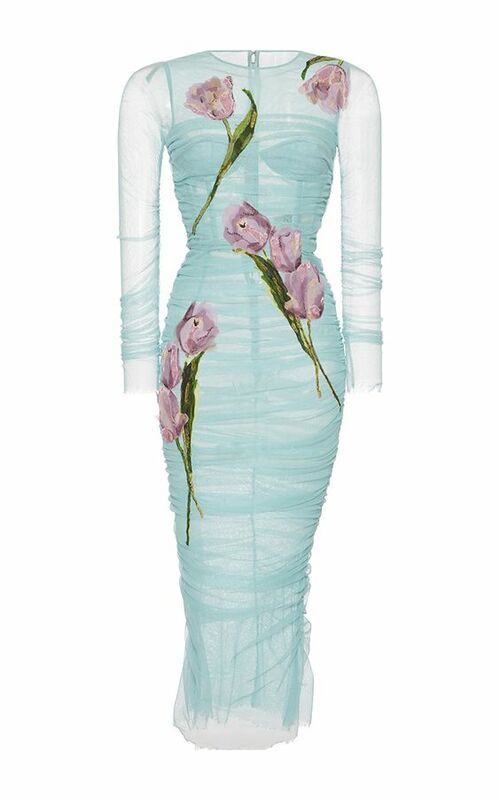 Dolce & Gabbana tulip printed bodycon dress, at modaoperandi.com. 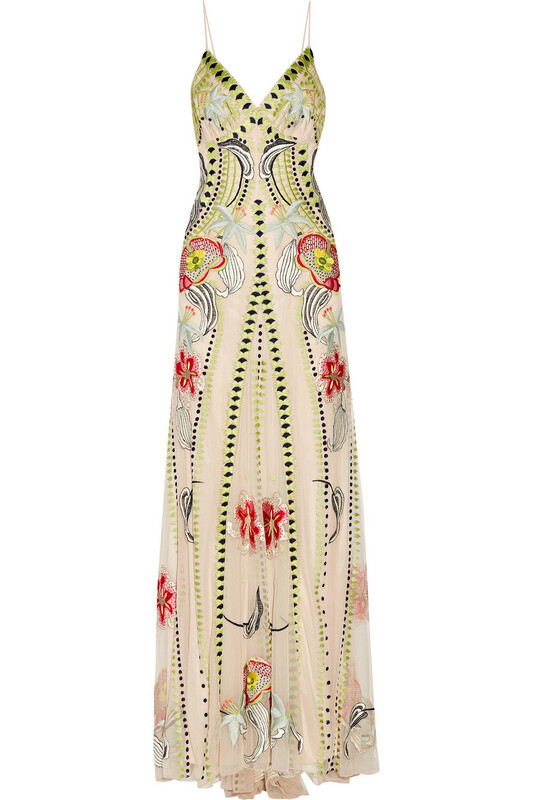 Burberry pale citrus tiered chantilly lace shift dress, at modaoperandi.com. Temperley London Carmelina embroidered tulle gown; this and next at net-a-porter.com. Saint Laurent tiger-print silk-georgette gown. Dolce & Gabbana embellished printed silk chiffon dress, at mytheresa.com. 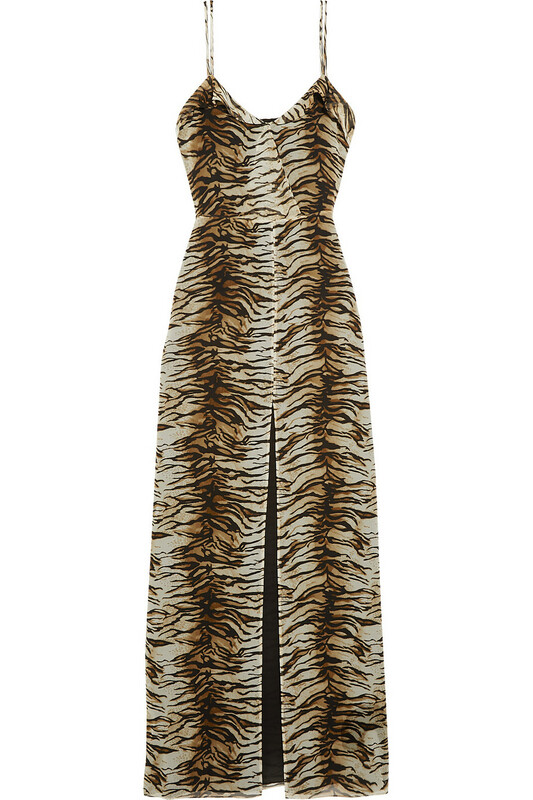 Darlings, which clothing and accessories are you loving lately? 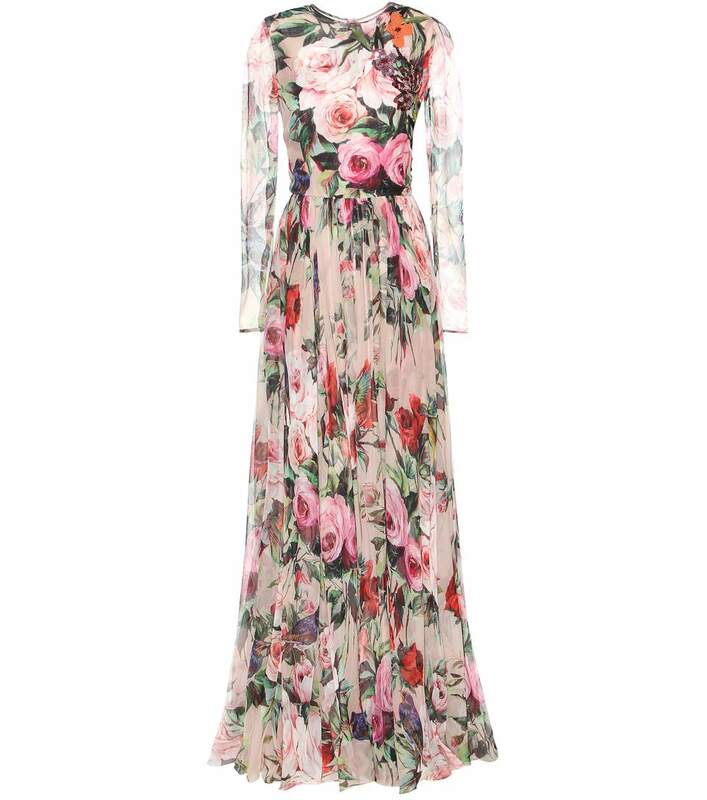 CC adores the Saint Laurent gown! 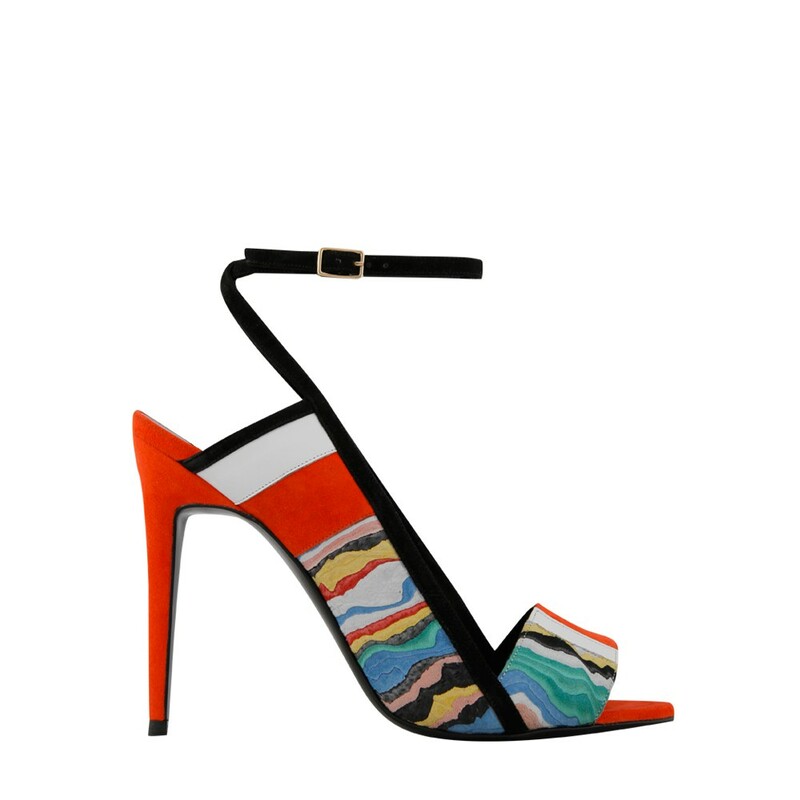 The Gucci sandals are darling! wow, the lace pumps are the most stunning shoe ever. I love the design of that Burberry floral lace and mesh blouse!!! 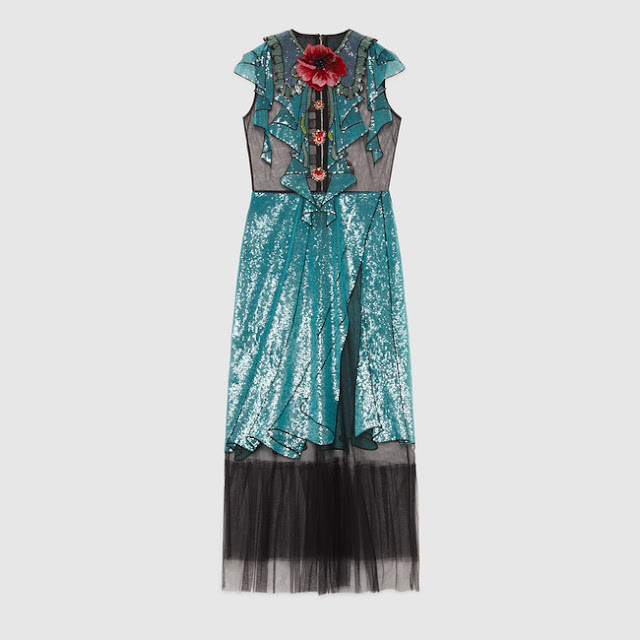 That Burberry pale citrus tiered chantilly lace shift dress is pretty too.